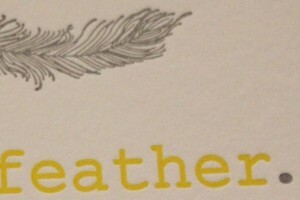 Letterpress printing is a technique of relief printing using a printing press. A worker composes and locks movable type into the bed of a press, inks it, and presses paper against it to transfer the ink from the type which creates an impression on the paper. 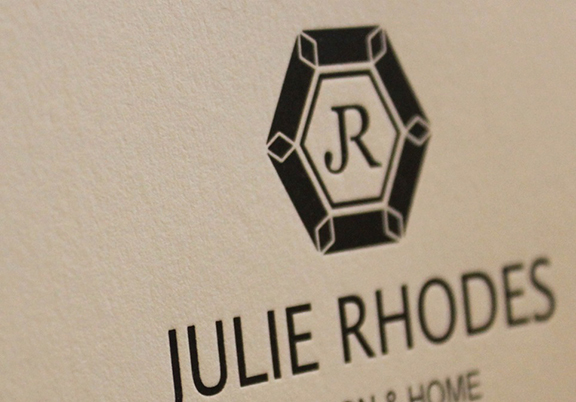 The letterpress trend seems to be growing and catching on across a wide variety of communities. 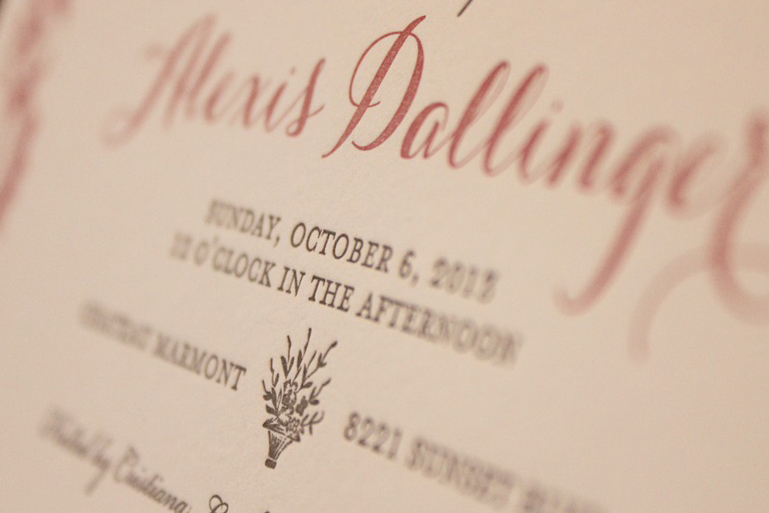 Brides and their grooms, wedding planners, new parents, expecting parents, savvy small business owners, and even the seasoned big-business veterans are loving the uniquely-intimate flavor that letterpress printing offers. This is printing that really makes an impression. This is an example of exceptional letterpress. 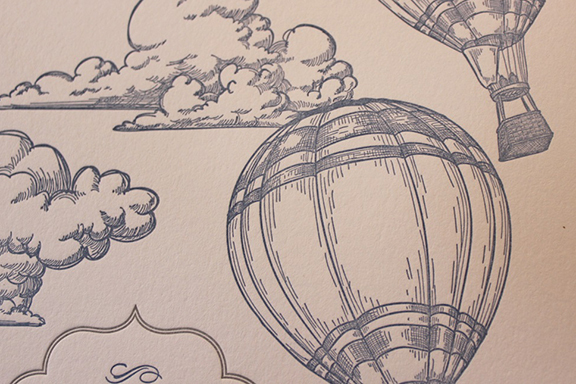 These fine lines are so delicate and look fantastic. Let us start a classic design for you. 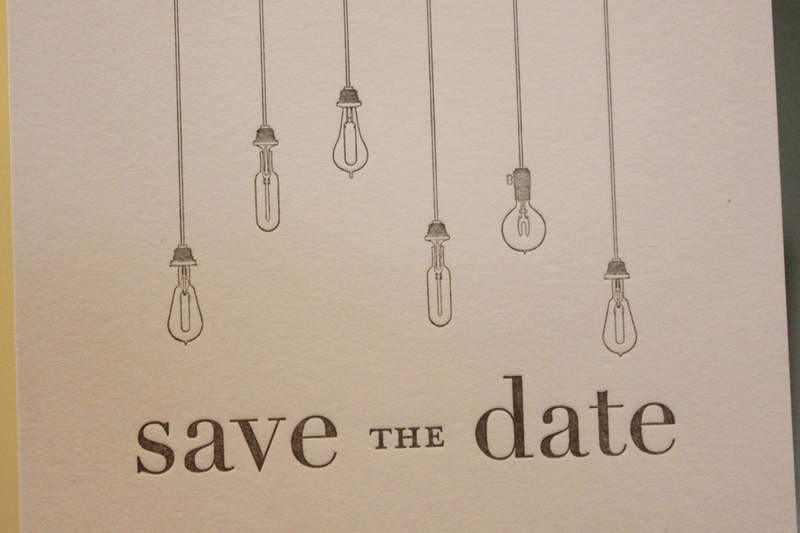 This is a 2 color letterpress invitation. Example of two color letterpress. Old school printing on old school equipment, still running like a champ and the only way to get that classic look. 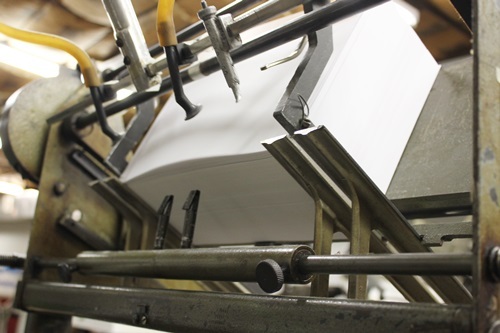 All letterpress orders are custom, we do not offer a standard pricelist for this service. In the end, your letterpress pieces will each have a personality of their own…all carefully crafted and exclusively created. Beautiful. Singular. Timeless. Click here to PLACE A NEW ORDER or to request a CUSTOM ESTIMATE.